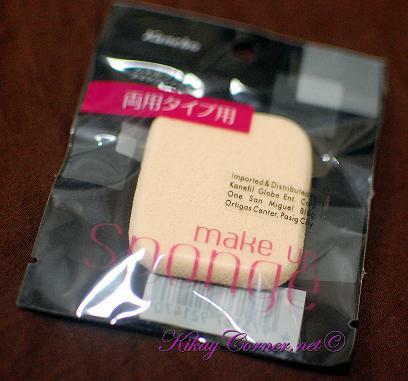 I always knew Kanebo was a good brand, so when this makeup sponge cost me P300 (approx.$7), I was certain that there is a good reason behind it. The fine print on the package is in Japanese. Save for the brand Kanebo, the only English words on the package are “make up sponge” and the sticker that reads who its local distributor is. Go figure! 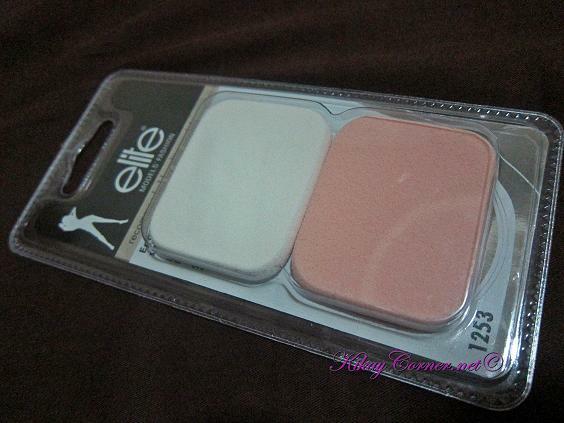 The Elite Model’s Fashion make up sponges are cheap. It claims to be recommended by Elite Models. Which by the way, I don’t buy. 😛 It’s not cheap cheap, like most disposable sponges are. But the package does come cheap with two sponges for only P165 (approx. $4). It is the latex kind. I bought this before I got hold of my Kanebo sponge last June, which I figured as non-latex. Elite latex sponges are not exactly my favorite. It can be an alternative. Can do the job, even. But it’s not the best, for sure.